Renewable energy in Ukraine, namely #wind #energy is currently experiencing a #rapid #boom in Ukraine. This month, a new wind #farm – #Prychornomorskyi Wind Farm – was commissioned in the #Mykolaiv #region. The #installed #capacity of the wind farm is 30 MW. In addition, two more major wind farms have been recently put into #operation: the #Novotroitsk wind farm in the #Kherson region (at the beginning of October 2017) and #Staryi Sambir Wind Farm 1 in the #Lviv region (at the end of 2016). Wind #turbines ordered for the Novotroitsk wind farm were #manufactured by #Danish #Vestas, the world’s leading #supplier of wind #energy solutions. As stated in the press release of the Berezanskyi district State Administration, on 18 October 2017, the second phase of commissioning of the Prychornomorskyi Wind Farm in Tusla started in the Berezanskyi district of the Mykolayiv Region. In particular, it is pointed out that the total capacity of the wind farm currently is 5 MW; however, the total installed capacity amounts to 30 MW. Moreover, a new wind turbine of the farm with a capacity of 3.2 MW was put into operation, which is the wind turbine with the highest power output in Ukraine. Furthermore, at the beginning of October 2017, the Novotroitsk wind farm was commissioned in the Kherson region, as reported by the press service of the Ukrainian State Agency on Energy Efficiency and Energy Saving. The total capacity of the wind farm will be about 70 MW, which will make it one of the three largest ones in Ukraine. The wind farm consists of wind turbines manufactured by Vestas, the world’s leading producer of wind turbines, headquartered in Aarhus, Denmark. The project was implemented by the Ukrainian Windkraft Tavria together with Ukrgasbank. 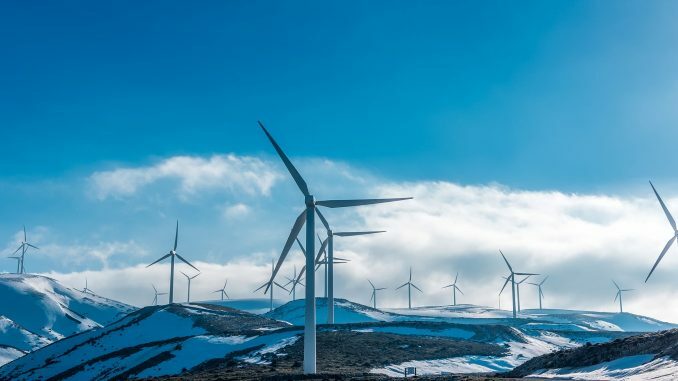 In addition, at the end of last year, a wind farm with the highest power output in Western Ukraine – Staryi Sambir Wind Farm 1 – was commissioned in the Lviv region. The installed capacity of the wind turbines allows an annual energy output of approx. 36 million kWh. The wind farm has a total capacity of 13.20 MW. The funds have been provided by the European Bank for Reconstruction and Development and the World Bank‘s Clean Technology Fund. The project is estimated at EUR 20.5 million.